UCFB is a world-first in sports education, offering university degrees in the football and sports industry. We provide an exceptional environment to live and learn in, with state-of-the-art facilities in our iconic London campus which has the Wembley Stadium at its heart. We’re proud to say 92 percent of UCFB graduates are in full time employment, and nearly two thirds of those working in the football and sports industries with bodies such as The Football Association, Manchester United, Sale Sharks and EDP Soccer in New Jersey. From day one, UCFB’s unique approach to higher education equips students for the rigours but also the exciting and life changing experiences a career in this fast paced world can offer. We firmly believe there are three ingredients necessary for such a career: a degree, a network of contacts and a CV full of fantastic work placements. That’s why UCFB offers the whole package. As well as learning from our band of experienced, industry based academics, students have the opportunity to apply for truly amazing work experience placements in the UK and abroad. 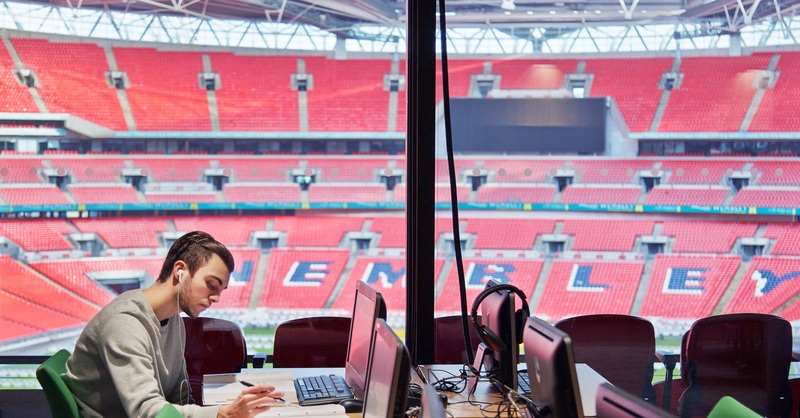 Previous students have worked at football clubs in Brazil, the UEFA Champions League final and England international games at Wembley. The expansion of sport means new jobs are being created on a daily basis. From marketing executives at top football clubs to coaches at county associations, and from psychologists at sporting institutions to event organisers at capacity stadiums the opportunities are endless.